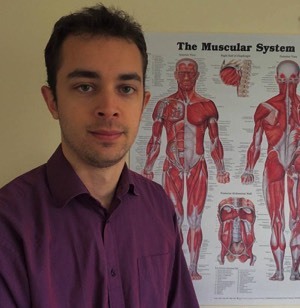 Ed is a fully qualified Osteopath having obtained his honors degree in Osteopathy from the European School of Osteopathy in Kent (part of the University of Greenwich). As a member of the GOsC’s register of osteopaths, Ed is recognised by many private heath insurance companies. Everyone is unique, and in keeping with the philosophy of osteopathy, Ed designs treatments to cater for each individual's body-type & their specific needs. This is re-enforced by his personal experience in practice; that patients who are relaxed & comfortable during treatments, heal faster! Ed is skilled in a wide range of osteopathic treatment techniques, from structural to cranial and functional. He believes the use of a wide variety of techniques can help to maximise the body’s chances of faster healing and stimulate broad tissue repair. He has found from experience that when certain techniques are combined they can be more effective on ’stubborn’ problems, which may have previously failed to respond to treatment.